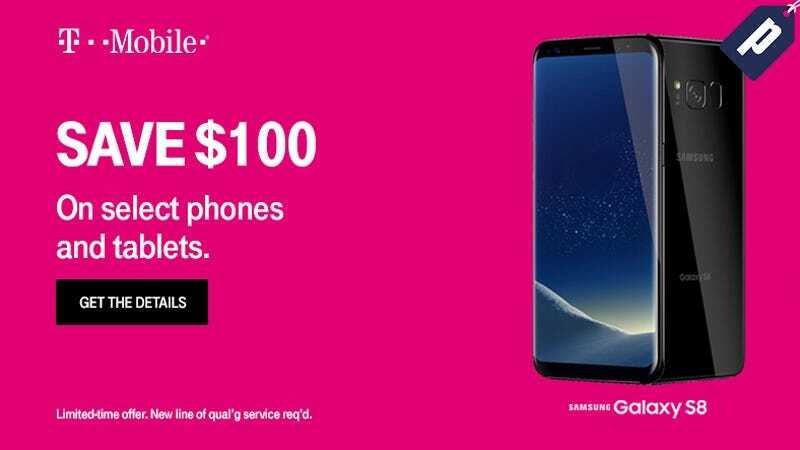 Switch to T-Mobile and receive $100 credit on select smartphones and tablets when you sign up for a new line of qualifying service. Eligible devices include the 64GB Samsung Galaxy S8 (from $500 after the discount), which features a 12MP camera and a 5.8" QHD display. Click here to redeem your personal code to receive your $100 credit. Enter personal code at the bottom of your cart to redeem credit.